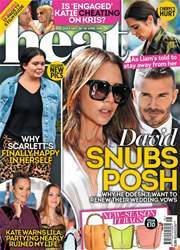 In this week's heat: why can't Jordan leave Pete alone? Lily Allen and Gemma Collins hit back at Katie Hopkins! Geordie Shore Holly's extreme corset diet – and our Weird Crush 2014!